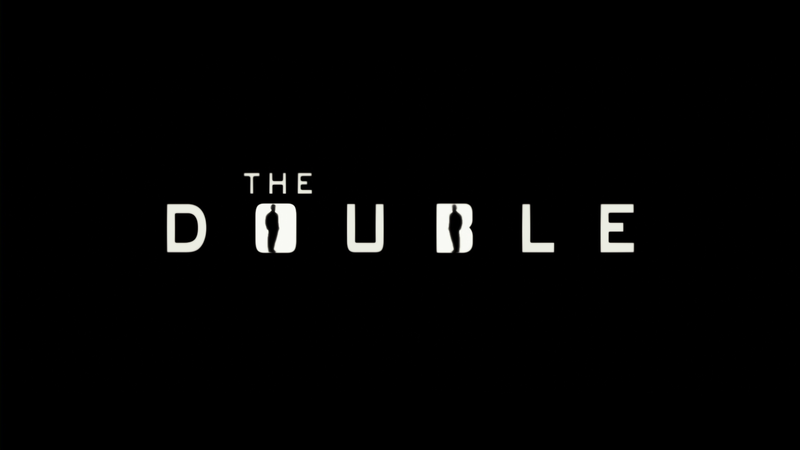 The Double doesn’t quite capitalize on an interesting concept thanks in part to a “twist” that not only is revealed in the trailer but early on in the film itself. 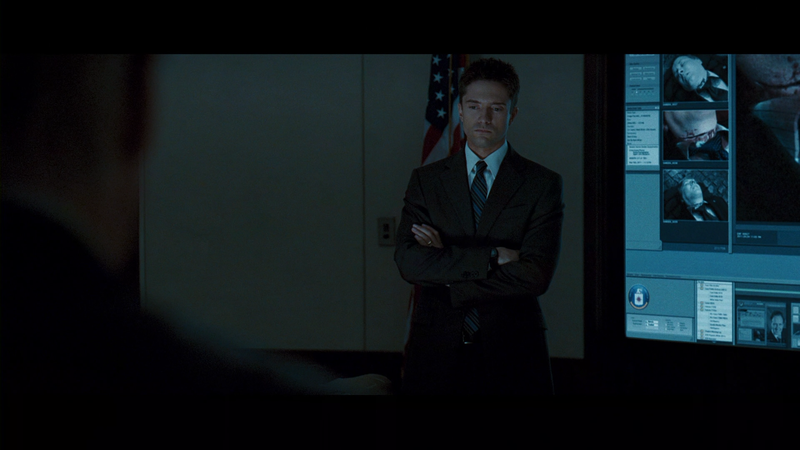 Despite that, I still feel the film is at least watchable due to Richard Gere and Topher Grace. The Blu-ray offers up solid video and audio transfers but falters in the features department, although the commentary is pretty good. The Double is a mystery-suspense movie that offers little mystery and surprisingly little suspense as well. If you’ve seen the trailers, you already know one of the twists (there’s another towards the end) but there’s a reason it’s revealed, albeit the trailer still isn’t very good, and that’s because it’s shown about 30-minutes in. Personally, I think this could’ve been done later on keeping up some of the mystery. I know what the filmmakers were after, trying to establish a sort of cat and mouse game with the audience in on the whole thing, but it never quite gets going and instead people are left twiddling their thumbs waiting until the inevitable finale. The story begins with an FBI surveillance of a United States Senator as he seems to be making a deal with the Russians, when, as the Senator leaves his room, gets ambushed and his neck slit with a wire, the perpetrator gone within seconds. At the crime scene, CIA director Tom Highland (MARTIN SHEEN) enters and takes over the investigation and brings aboard retired agent Paul Shepherdson (RICHARD GERE) back into the fold because he is the foremost expert on the man Highland believes is responsible: a Soviet assassin known only as Cassius whom Shepherdson and the CIA long thought was dead. 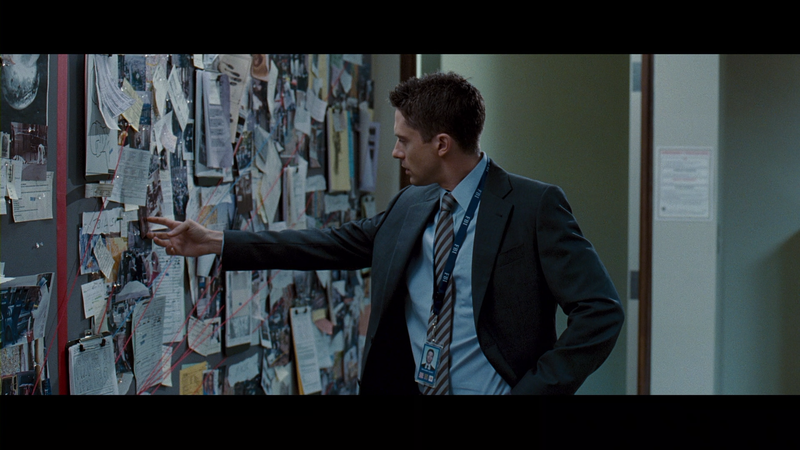 Reluctant to get involved, Shepherdson eventually agrees to come back to investigate and gets a partner in Ben Geary (TOPHER GRACE), a young CIA analyst who knows just about everything there is to know about Cassius. Their investigation first takes them to a man who was once trained by Cassius, Brutus (STEPHEN MOYER) who was captured by the CIA and placed in a secret government prison. Brutus doesn’t have much to offer since he’s never actually seen Cassius but for his help, they give him something he’s always asked for: a radio to get access to the outside world… quite literally as it would seem. Brutus swallows the batteries which sends him to the hospital where he makes a quick and easy escape (one would think the security would be much tighter) but is met in the hospital parking garage by Cassius who is revealed to be… yep, Shepherdson! Nope, it’s not a big surprise and frankly far too early of a reveal. Basically the rest of the movie is the viewer knowing Shepherdson is Cassius, watching Geary trying to put the pieces together – and meeting his wife (ODETTE YUSTMAN) – as well as getting more background on Cassius and why he’s a wanted man not just by the U.S. but the Soviets as well. Alright, I have to say despite my criticisms of the reveal of one of the twists; The Double isn’t really a bad movie and is actually a fairly entertaining flick to pass the time away if you have an hour and a half to spare. 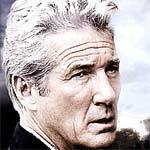 Both Richard Gere and Topher Grace give good performances while Martin Sheen and Odette Yustman, in limited roles, are fine in the supporting roles. I also have to mention Stephen Moyer (“True Blood”) who is effective in his fairly brief appearance. One of the better aspects to this film is the photography by veteran Jeffrey L. Kimball who has worked on such productions as Top Gun, True Romance, Wild Things and The Expendables to name a few. For The Double, some of the shots look absolutely spectacular be it either in the day time or at night. The direction by Michael Brandt is well done and looks slick while the screenplay, also by Brandt along with Derek Haas has some suspense going for it even if interest in the story wears thin by the time the third act rolls around. The Brandt/Haas pairing also worked together on a variety of projects including 2 Fast 2 Furious, Catch That Kid, 3:10 to Yuma and the adaptation of Wanted. The Double isn’t a bad movie but the concept was unfortunately wasted by a poorly written plotline and/or editing. Sorry but as much as I appreciate the filmmakers bucking the mold in revealing one of the twists early on, the revelation also took any energy away from an otherwise interesting storyline. That being said, Richard Gere and Topher Grace both give fine performances that make the film at least somewhat entertaining and a worthwhile venture. This release comes with a semi-glossy slip cover, unique to an Image Entertainment release. The disc doesn’t offer up a whole lot in terms of features. 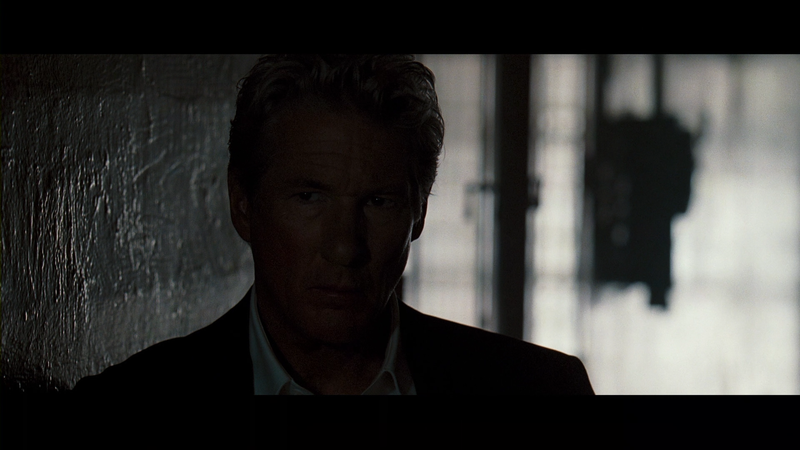 We get Interviews (7:49; HD) with the cast (Gere, Grace, Moyer, Sheen, etc.) and crew (writers, director), an audio commentary with Writer/Director Michael Brandt & Writer/Producer Derek Haas and the Theatrical Trailer (2:26; HD). The commentary isn’t bad as Brandt and Haas keeps things lively offering up antidotal information on writing and directing the film, working with the cast, and so forth. Image Entertainment releases The Double on Blu-ray with a nice looking 1080p high-definition transfer and AVC codec. The movie, presented in its original 2.35 widescreen aspect ratio, is sharp and well detailed throughout. The coloring is also well balanced with no oversaturation or bleeding over. This is a sharp transfer overall that looks good on the small big screen. The audio meanwhile isn’t fantastic but more than effective. The 5.1 DTS-HD Master Audio track offers up clear dialogue coming mainly through the center channel, ambient and off-camera sounds via the front speakers and other, lower level, aspects from the rear channels as well. The LFE channel gets a little use which gives the track a bit more depth. The few action scenes do benefit from this lossless track while the quieter moments also sound nice. Overall, The Double doesn’t quite capitalize on an interesting concept thanks in part to a “twist” that not only is revealed in the trailer but early on in the film itself. 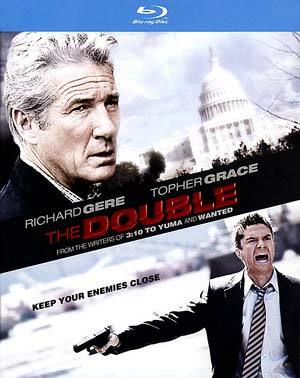 Despite that, I still feel the film is at least watchable due to Richard Gere and Topher Grace. The Blu-ray offers up solid video and audio transfers but falters in the features department, although the commentary is pretty good. As it stands, this is probably worth a rental but nothing more.